Last weekend, the death of President George Herbert Walker Bush occurred, leading to a funeral on Wednesday. As such, the trailer for Avengers: Annihilation will arrive on Friday instead of that date as initially planned. 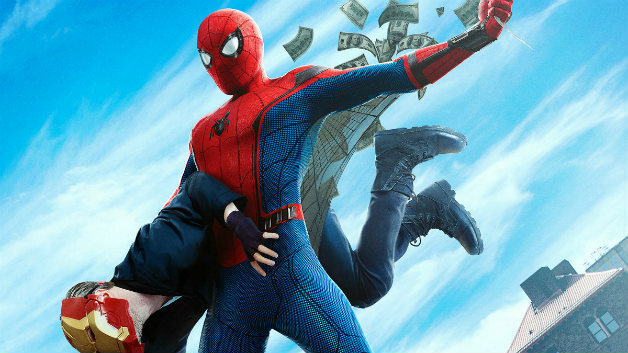 Meanwhile, Spider-Man: Far From Home will have its first preview revealed on Saturday. While Disney want to pay respects to the passing of President Bush, there’s also an economic incentive to not release the trailer as well. With the stock market closed on Wednesday, there’s not an opportunity for Disney shares to get a financial boost out of hype for the trailer, and generally speaking, all eyes will be focused on the funeral procession instead of any major entertainment news. They can afford to wait for a few days and still have time for the trailer to be attached to all of December’s major movies. For now, a slightly longer wait is something that’s well worth giving the Bush family and America time to grieve. The Saturday date also coincides with Brazil’s Comic Con Experience, where Spider-Man: Far From Home has a presentation on that day. MCU Cosmic adds a bit to this story by stating that there are rumors that there will be some kind of trailer announcement on Thursday, which would make sense if there’s also an official announcement for the Avengers: Annihilation trailer around the same time. In any case, Marvel’s big week isn’t stopping anytime soon, and if anything, it just got bigger. Captain Marvel will be released on March 8, 2019. Avengers: Annihilation will be released on May 3, 2019. Spider-Man: Far From Home will be released on July 5, 2019.